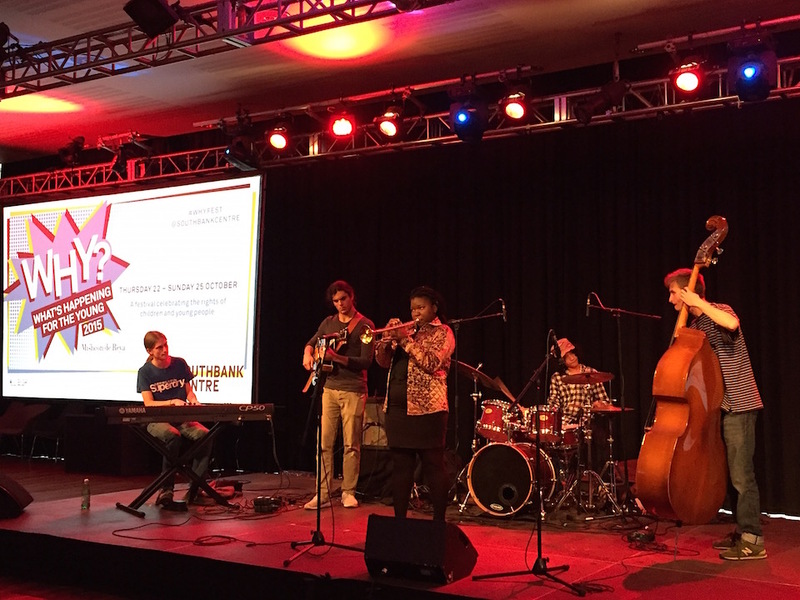 Jazz is what’s happening for the young! We had a brilliant time today at the 2015 WHY? 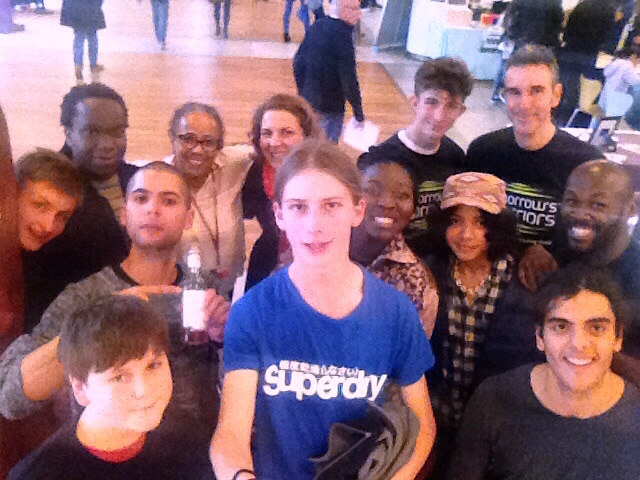 Festival (What’s Happening for the Young) at Southbank Centre. Our Tomorrow’s Warriors Youth Ensemble were joined on stage by Tomorrow’s Warriors Emerging Artist, Sheila Maurice-Grey. All performed with confidence and plenty swing, thrilling the Clore Ballroom audience. 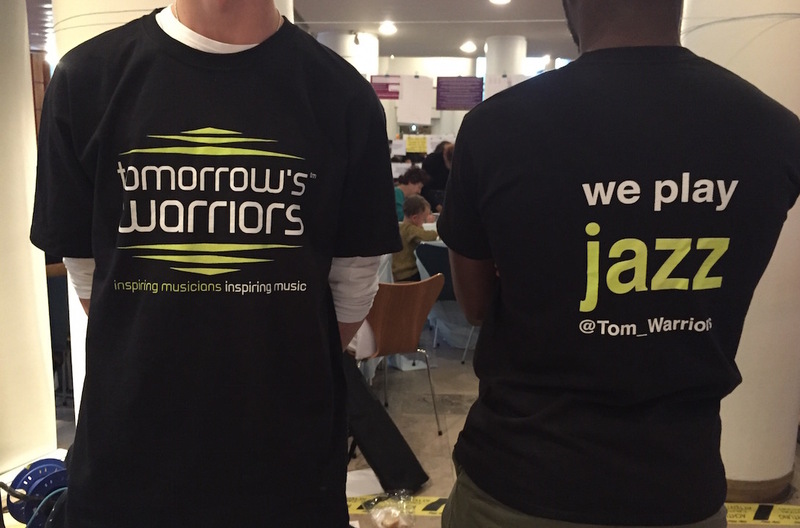 Big love and thanks to our lovely volunteers: Warriors Luca, Solomon, and Michael, and Warrior parents Jennifer and Richard for being awesome helping out on the TW information stand and modelling the 1st Edition of our cool new T-shirts! 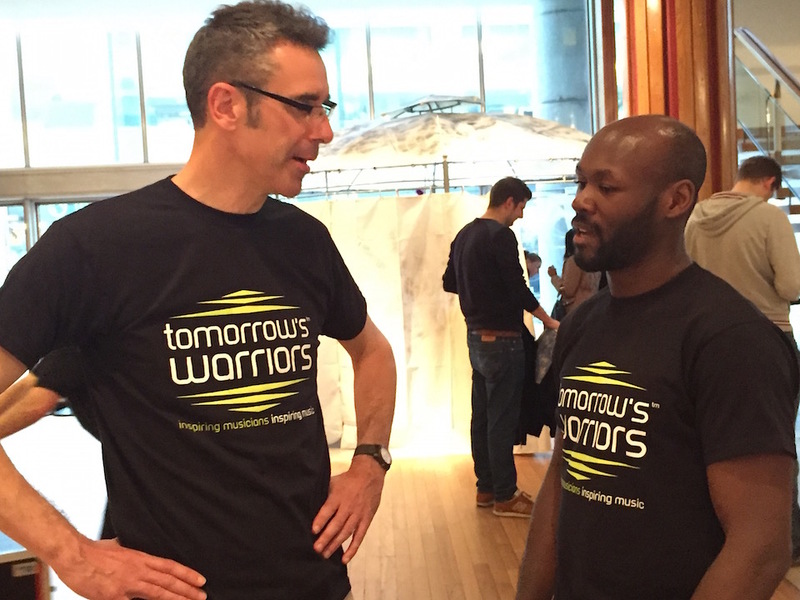 Oh, and make a note in your diaries: Sunday 20 December (5.30pm) at Southbank Centre for the ever popular Tomorrow’s Warriors Winter Showcase. Soon come!